I know a thing or two about bad movies. If you follow me on twitter (@sbliss89), on any given night I’m probably livetweeting a complete stinker of a b-movie. Along with others, we riff on the movies, make jokes and and have a good time. This is not a strange thing. There is fun to be had in watching a “so bad it’s good movie”– that’s what Mystery Science Theater 3000 and it’s later incarnations are based on. It’s something that I genuinely love. And yet, when everyone was watching Sharknado 2 last night, I took no interest in it. I didn’t watch it and probably never will. Why? Shouldn’t that be right in my wheelhouse? Not at all. To understand why, you need to know what I look for in a bad film. 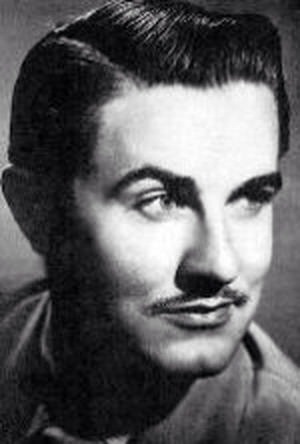 To get that information, you need to look no further than Edward D. Wood Jr. Very few directors have biopics made about them. Ed Wood is one of them. He has been crowned the proverbial king of bad movies, and he’s deserving of that title. His movies were genuinely horrible. All of the sets looks terrible. There was no decent line of dialogue to be found, and the lines were delivered by people incapable of showing emotion. The movies lack any structure, pacing or continuity. From a pure objective standpoint, Wood was an awful filmmaker who had no business ever being behind a camera. But he tried his best anyway, and that’s precisely why he’s so appealing. When you watch an Ed Wood movie, you are watching someone who loved what he was doing, and tried to make the best movie possible. The same goes for most bad movies of yesteryear. You are watching what someone thought was good. Along with that comes all of their bizarre eccentricities and ideas. 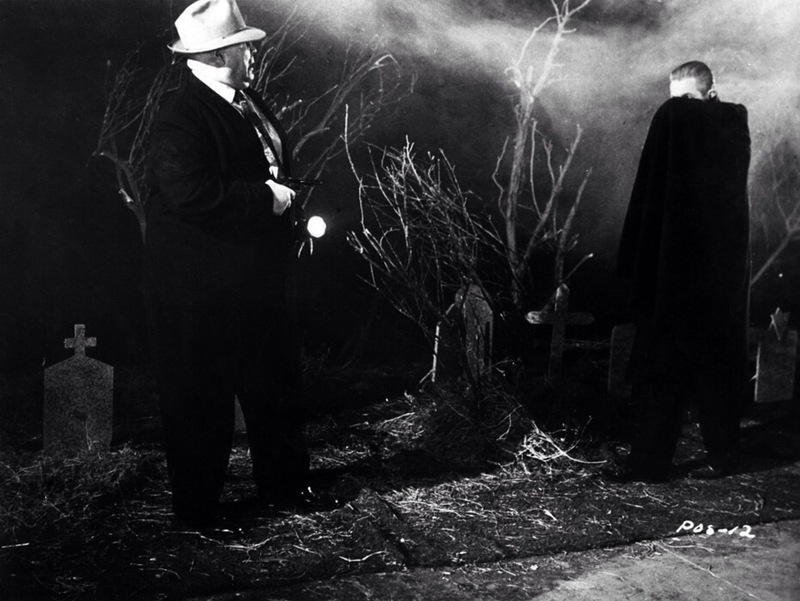 In the case of Ed Wood, that meant shoehorning people like Criswell and Tor Johnson into his movies. That meant needing to have Bela Lugosi in Plan 9 from Outer Space even after he was dead, to the extent that a stand-in who looked nothing like him was needed. That meant only from his mind could a movie like Glen or Glenda, with all it’s love of cross-dressing and angora, be made. Tom Mason, a chiropractor, pretends he’s Bela Lugosi while Tor Johnson, a Swedish wrestler, pretends he knows how to speak English properly. 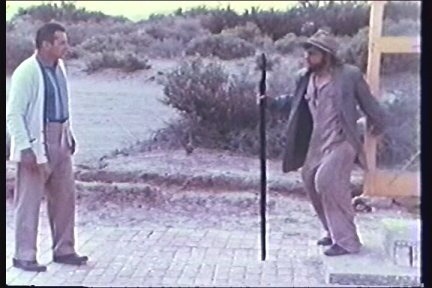 Manos: The Hands of Fate is another legendary bad film, and why is clear– it’s the product of a fertilizer salesman with no directing or acting experience who thought he could star in a film of his own making. Because he had no money, the camera used could only film a minute at a time with no sound, leading to bad dubbing and jump cuts galore. A long, wordless opening driving sequence exists because he neglected to put in the planned opening credits. On top of that, it’s filled with nonsensical things like a villain with bulbous knees. These were people with no talent and no money. All they had was passion and an imagination. That’s what makes them so funny and charming. Once you’re that self-aware, the charm and fun is gone. Jared is there because they thought it was funny. Criswell was there because Ed Wood thought a phony mentalist with no skills at reading copy would make a great narrator. Which one sounds more intriguing? Someone sitting down to write the dumbest plot twist or most inane piece of dialogue isn’t interesting to me. On the other hand, someone who thought they were creating a great plot only to fail miserably is very interesting. A monster created to look stupid isn’t funny, but a horribly done serious monster (like The Creeping Terror) is very funny. When I’m laughing at a bad movie, I’m laughing because of that lack of self-awareness. It’s funny that the monster is supposed to scary but looks ridiculous, that the dialogue is supposed to be serious but isn’t, that the special effects are supposed to look good but don’t. I’m laughing because this was the best they had to offer, and they had no idea it was terrible. 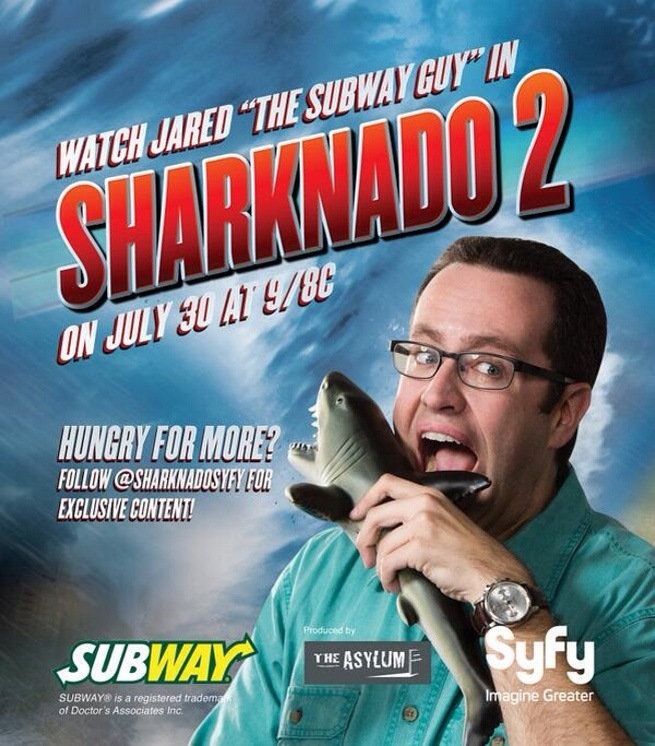 If you enjoyed Sharknado, more power to you. I’ll stick with my trusted source for bad movies– people who had no idea what they were doing.